can also include vehicles, cars, groups, and almost anything you can think of, so let’s get started! Gift caricatures make great gifts for anyone, whether it’s your boss, a family member, or friend. Our gift caricatures start at $50 and go from there based upon people or items required, size, etc. Our most popular gift caricature is a mix of people with some sort of scenario, but if you need just a head shot or a full group picture we can handle it. You will be involved throughout the whole process from sketch to finished picture. If you are ready to book then click here to get a free quote. If you need more information on the process then click here to go to the gift caricature page. Gift caricatures are done digitally and then printed or emailed unless otherwise specified or agreed upon. Custom illustration can be found in magazine advertisements, along side articles published in many trade publications, presentations, and more. We have a strong focus on the transportation market due to our past experience and expertise but work on a variety of projects so if you have an idea for a project feel free to give us a call. Our illustration work is mainly cartoon focused with a strong specialty in caricature art. The range of products go from advertisements to t-shirt designs, promotional books, cartoon ads, editorial illustration, and more. Click the link to learn more about our illustration services and how we can best help you. Below are a samples of work completed for clients. Let’s get your gift caricature started-click here! 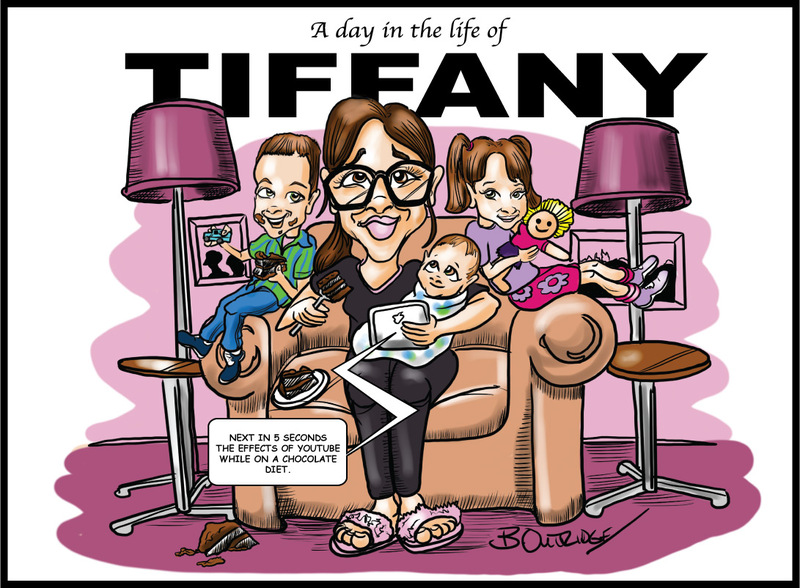 If you would like pricing for your own gift caricature then why not ask for a quote.